The roaring twenties; an era of decadence, drinking bootleg whiskey and dancing the night away without a care in world. Welcome to J Gatsby’s party. Put your dancing shoes on and let the fun begin! The Dolphin in Mold is a dilapidated black and white building that used to be a pub until July 2013. Since then it has lain empty falling into disrepair. It seems a long way from Long Island, New York and the sumptuous surroundings of Jay Gatsby’s mansion, but don’t let that put you off. 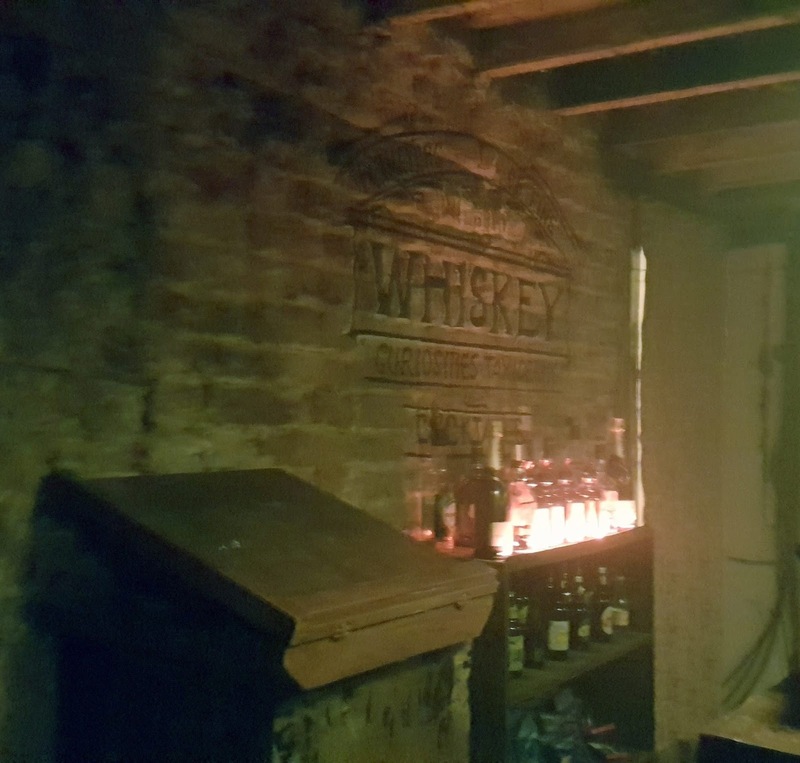 Knock on the door, say “moonshine” to the person behind the shutter and you’ll be welcomed into a whole new world…so long as your name is on Gatsby’s guest list! 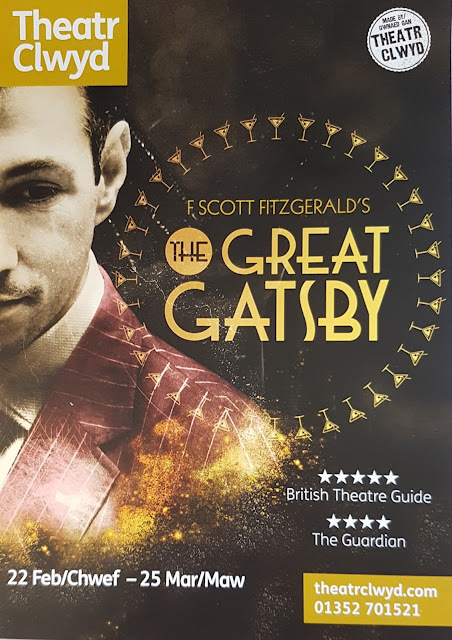 This co-production of F Scott Fitzgerald’s The Great Gatsby between Theatr Clwyd and Guide of Misrule is a spectacle to behold. 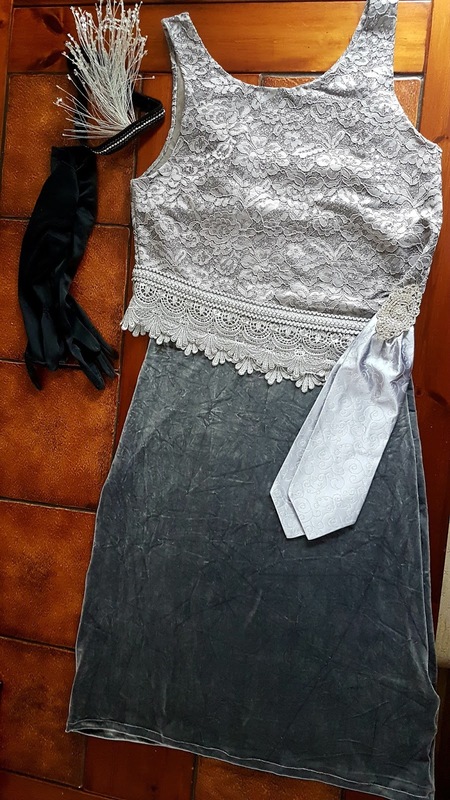 You are encouraged to dress up in 1920’s gear, and thankfully nearly everybody took this on board. As you make your way to the bar to order Gin Rickey’s or Mint Juleps, men donning spats and trilbies are arm in arm with ladies in evening dresses, making it hard to differentiate between who is in the cast and who is a fellow theatre goer! Jazz music plays in the background as people mill around chatting to each other, just as you would at a party, and then suddenly, one voice is heard louder than the others, Nick Carraway (Michael Lambourne) has started telling his story to a group of people, there is a hush is the room as people stop their conversations to listen to him. The evening has officially started! Don’t worry about the steps, your way is cute! The parties of the mysterious Jay Gatsby were notorious affairs. Our host for the evening was just as much as a mystery to Nick Carraway, our narrator for the evening, as he was for us as we were ushered from the bar to the dancefloor and learnt how to Charleston with Daisy Buchanan (Amie Burns Walker) and Jordan Baker (Zoe Hakin). “Right foot forward, back, left foot back, forward, and do it again and add a swivel…or just do what you’re doin…it’s cute!” My brain and feet just did not want to co-operate…well not until I woke up next morning and tried again in the kitchen whilst making breakfast! But it didn’t matter, this was an evening of fun, not a dance competition, so we all just threw our hands in the end and let our feet do the best they could! It does help to know the Gatsby story before you attend the evening, because you don’t sit and watch the story from beginning to end as you do with traditional theatre. Each person who sees the show ends up with their own version of the story and their opinions of the characters, as you would with a real party. In the book it is hard to like many of these socialites, but after having a one on one conversation with a person you start to see things from their point of view, so whilst you still may not like them, it’s hard not to empathise. You might be involved with Myrtle and Tom’s story, whilst other people are invited to go upstairs with Gatsby to help him pick out a suit from his wardrobe, or head off with Jordan to talk about golf. Why do girls think the toilet is the best place for a heart to heart? I was ushered upstairs to a private party at Myrtles where a group of about 15 of us played spin the bottle. This was where I almost regretted sitting in prime place on the sofa. Later in the evening Myrtle (Bethan Rose Young) grabbed me and two other ladies to go to the loo with her so she could have a private girl to girl chat for advice. Just why women find the toilets the best place to air their worries will always be a mystery to me, but as we put the world to rights, other bemused theatre goers walked in thinking we were normal folk queuing for the toilet! At the “interval” I went to the bar to get a drink and a few moments later Tom Buchanan (Jake Ferretti) had come up to me to ask if I knew anything about a business card he presented to me, or how Gatsby had made his money. This kind of immersive theatre is not for everybody, but if you relax into it, it becomes a surreal but highly enjoyable experience. Having done it once, I’d happily do it again and probably gain even more from the experience. Snatches of overheard gossip, coupled with Nick delivering various narratives and some of the more iconic moments of the film and book all piece together like a jigsaw until you get a sense of who your host for the evening really is. For those who don’t know the story, gaps will appear; although there are set-piece scenes everyone bears witness to, to ensure that the main plot remains clear. If you’re not in the right place at the right time you could miss out on the background of some of the relationships and how their stories unfold, but his doesn’t distract from the night at all…because just like a real party, there’s always someone to tell you the bit of gossip you’ve missed! As we reach the climax of the story, we listen on in a hushed, almost embarrassed silence as the drink fuelled night leads to the excellent cast throwing recriminations at each other. The party is over, we must say good bye to our new friends, Daisy, Jordan, Nick, Tom and indeed Gatsby. It’s time to go home. Immersive theatre is not everybody’s cup of tea, but this is an exciting new way of storytelling. I’m so used to sitting and watching a play thinking “that looks like fun” that this gave me the opportunity to be part of something without having to be centre stage! I got to dress up (and have fun making a costume for the night) dance in the party scenes and chat with the characters…just like actors get to do... I just didn’t need to worry about remembering my lines! The Great Gatsby is on at The Dolphin Pub until 25th March 2018. So get your glad rags on and say “Hi” to Mr Gatsby! 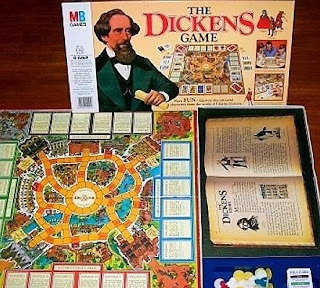 Dicken’s at the time, but I soon learnt about him with this game. Players moved from inn to inn collecting characters to complete 6 chapters of one of Dicken’s novels (Oliver Twist, A Christmas Carol, David Copperfield or Great Expectations.) No-one I knew enjoyed playing it and so I spent most of my childhood making the cat and two teddy bears pit their wits against me. I always collected the cards for Great Expectations and they never argued with me! 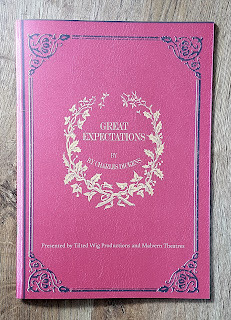 The tale of Great Expectations commences Christmas Eve 1803. The young orphan Pip is visiting the graves of his parents. Here he meets with the criminal Abel Magwitch who he agrees to help. This meeting will have a profound effect on the rest of Pip’s life. 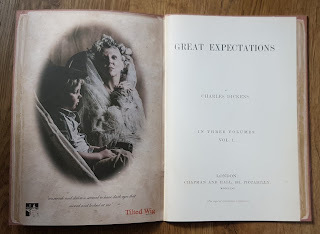 A year after the meeting, Pip is invited to Satis House, the home of the wealthy spinster Miss Havisham. Locked in a time warp, she plays games with Pip. It is here where he encounters the beautiful Estella and whilst he falls in love with her, she treats him unkindly, teasing him, making him fall under her spell more and more. After several years, Estella is sent away and Miss Havisham puts a stop to Pips visits. She has finished toying with him, as a cat would toy with a mouse. Pip becomes the blacksmiths apprentice, but after four years into his service, he is visited by a London lawyer named Jaggers; Pip is to go to London to become a gentleman of good fortune, but just who is his mysterious benefactor? 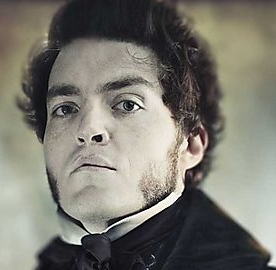 The BBC did a fabulous adaptation of Great Expectations in 2011 with Gillian Anderson as Miss Havisham, David Suchet as Jaggers and Tom Burke as the villain of the piece…the dastardly Bentley Drummle! 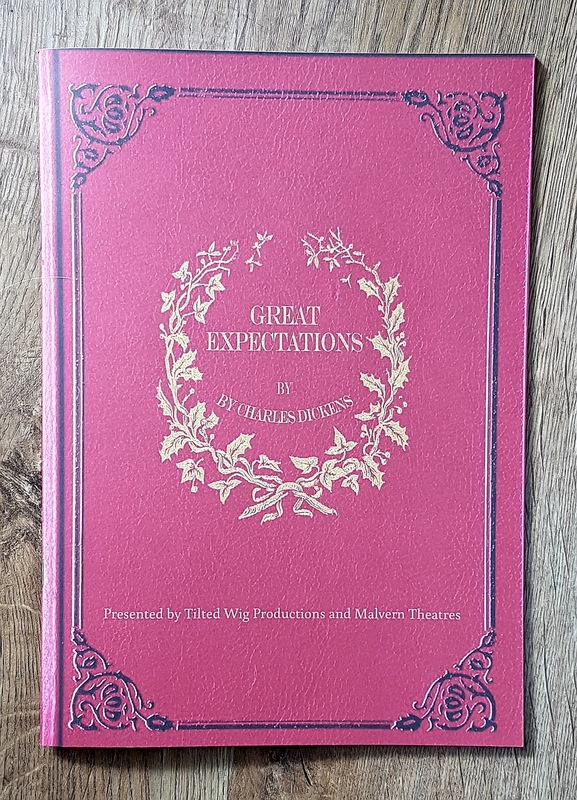 It was a wonderful TV production, but whilst it had an extraordinary cast, it also benefitted from filming in numerous locations to add weight to Dickens’ great tome. Could a lengthy, well-known book and TV adaptation, do well on stage, or would it be butchered beyond repair? The creative team should be justifiably proud of themselves, especially James Turner’s clever story box set. 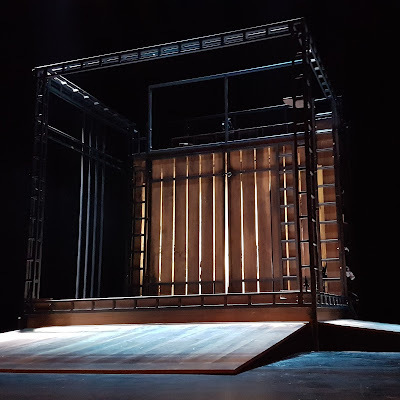 Whilst at first glance the box on the stage looks very simple, it does make you feel (with the use of a little imagination) that you are visiting the locations from the book. At its smallest it shows the tightly-knit space of Joe’s forge, and being cast in metal it linked in with the idea of Pip’s apprenticeship. Extending the metal sides echoes the spacious houses and offices of London; but most impressively, opening of the wooden doors at the back reveal the decaying fairy-tale interior of Satis house, complete with ragged curtains and uneaten wedding cake. 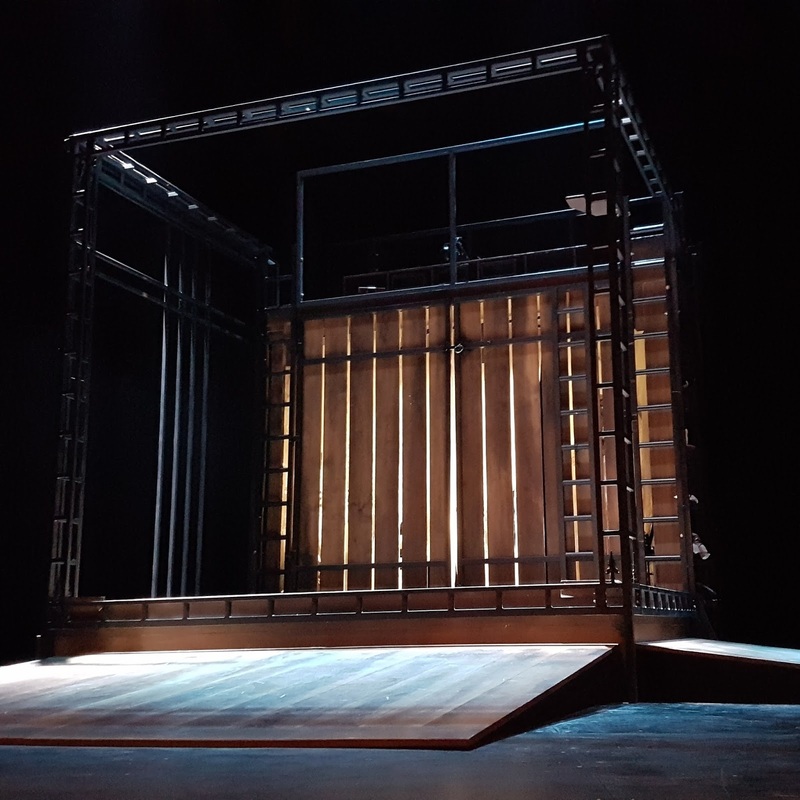 I also loved the integral cupboard of sound effects; it was like a “reveal” into the world of the radio play, and the inbuilt climbing frame which allowed the actors more movement about the stage. Nichola McAuliffe (Surgical Spirit, Cheri) inhabits Miss Havisham with echoes of Gillian Anderson’s portrayal about her. Jilted on her marriage day, humiliated and feeling betrayed she suffered a mental breakdown and never left Satis House again. She wore her wedding dress for the rest of her life and eventually ordered her lawyer, Jaggers, to adopt a girl for her. 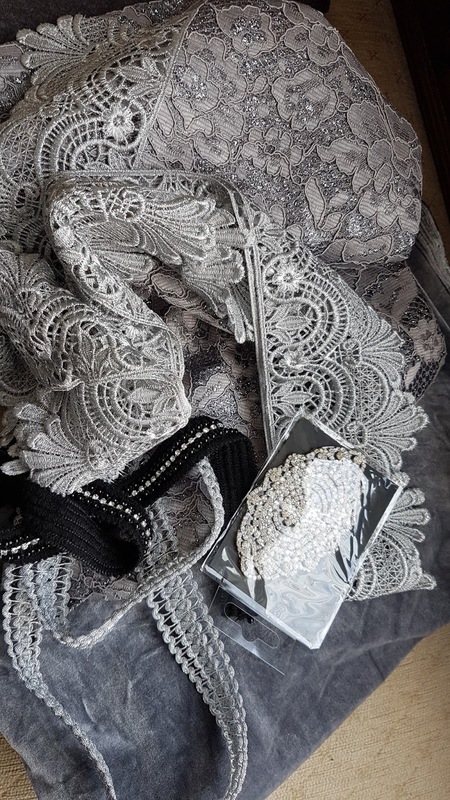 She wanted to prevent Estella from suffering at the hands of a man as she had once suffered but things changed, Miss Havisham became set upon revenge. Rather than being a mad eccentric, she was devious, plotting and used Estella to break young men’s hearts. Pip becomes the victim of her callous scheming, and it is only seeing the result of her work that she realises revenge achieves nothing. 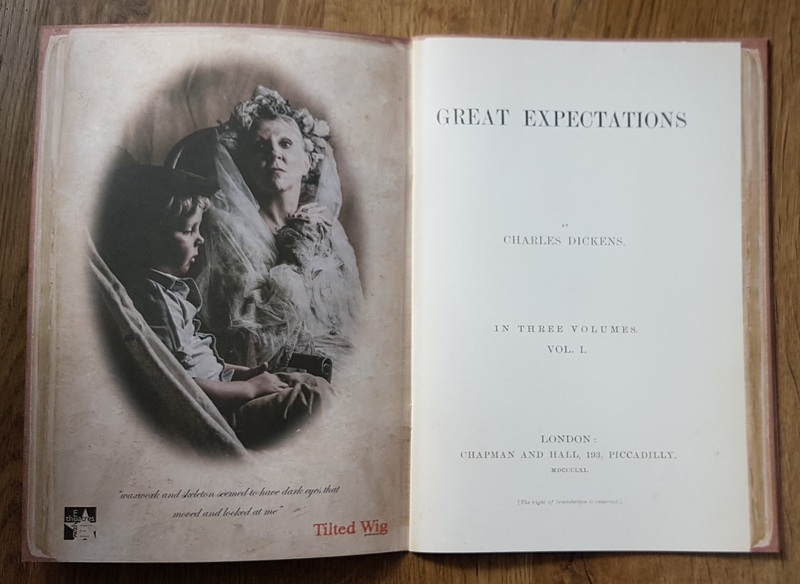 Nichola McAuliffe’s demeanour encompasses all these nuances of Miss Havisham’s character as we journey with her from protector, to revenge seeker, to repentance. At times it is quite terrifying seeing how easily she grooms and manipulates each of the children. Sean Aydon as Pip is believable as he grows seamlessly from the young Pip to the London bound gentleman. His scenes with Edward Ferrow as Joe Gargery are amongst some of the most emotive in the show and offer a tenderness that counters that of Miss Haversham’s callousness. This is a faithful but innovative production of Dicken’s classic, and being true to the novel requires a multitude of characters. Six actors take on the roles of approximately 24 characters plus ensemble, switching accents, costumes and demeanour at break-neck speed. All should be highly commended for being able to switch persona so quickly, however, there is only one person who can ever bring the full range of Bentley Drummle’s dislikeable character to life (Tom Burke) but Daniel Goode did give him a good run for his money!